Florida A&M University leaders moved a step closer to building a new residence hall and dining facility with a ceremonial groundbreaking held March 6 at the construction site on the University’s main campus. 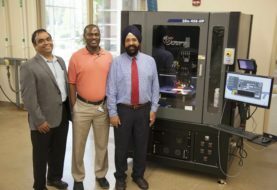 Just days before the ceremony, FAMU President Larry Robinson, Ph.D., met with Donald Watson, executive director of the U.S. Department of Education’s Historically Black Colleges and University (HBCU) Capital Financing Program in Washington, D.C., after signing off on a $125 million loan backed by the Program. It is the largest package ever financed by the federal program. U.S. Department of Education officials signed closing documents March 5, and the funds were made available the next day. Construction is scheduled to start in April near Osceola Street and Martin Luther King, Jr. Boulevard, and the residence hall is expected to be ready for occupancy by the fall of 2020. 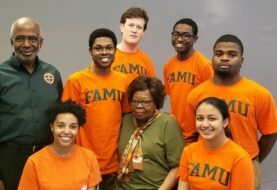 The University’s Chief Financial Officer Wanda Ford, D.M., said FAMU will use approximately $70 million of the funds to build a 700-bed residence hall and refinance $55 million of existing housing debt. This will free up $3 million annually over the next 10 years, which will be used to maintain buildings, such as Gibbs Hall, Palmetto South and Phase III. “You will all be proud of what will be built on this site; the bottom line of this project is to advance the success of our students,” said President Robinson. During the ceremony, Robinson thanked FAMU trustees, alumni, University staff and leaders for their dedication as well as private and public partners for their work. 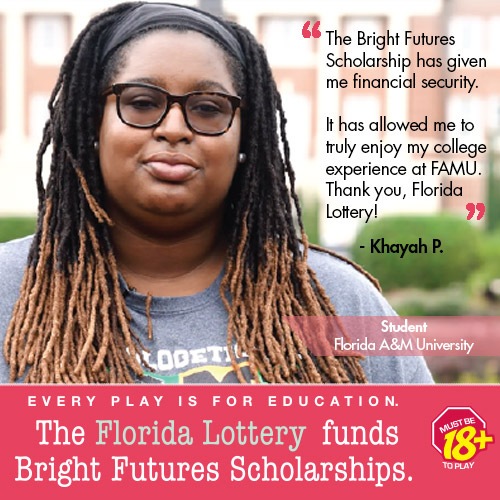 FAMU applied for the loan for the first time after the Florida Legislature, in 2018, passed a bill that allowed the University to pursue the low-interest financing. 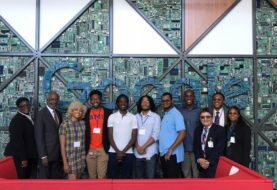 FAMU alumnus and State Representative Ramon Alexander and State Senator Bill Montford sponsored the legislation, which was signed by former Florida Governor Rick Scott. Lezli Baskerville, J.D., has served on the HBCU Capital Financing Program’s board for more than 10 years and attended the groundbreaking ceremony. Palmetto North, Truth Hall and Paddyfote residence halls will be decommissioned when the new facility opens. The new residence hall will replace the beds lost through the closure of those facilities and make room for an additional 200 beds. The new facility provides a significant upgrade in the campus living and learning community.